The ultimate goal on our charters is to fool fish into eating artificial lures. Some days, scratch that, MOST DAYS, live bait is what gets our people on fish. It may be that fish turn their noses up soft plastic imitations, or our customers are novice anglers. For whatever reason, more often than not, live bait saves the day. 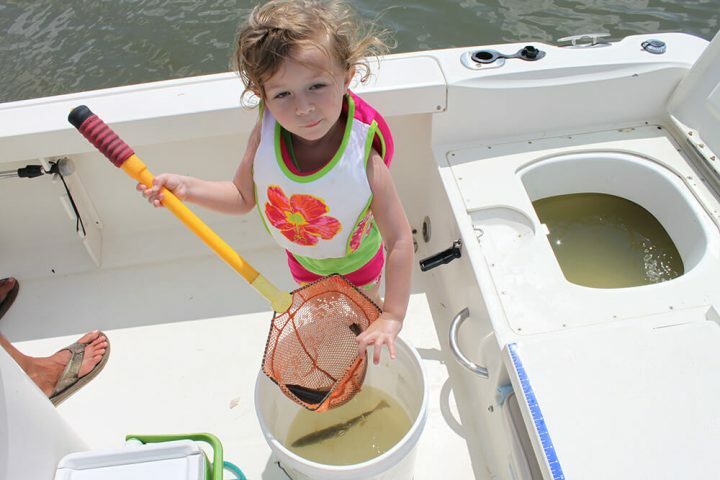 Live shrimp, croakers, mullet, minnows can make a tough day a great day, and can make a great day the best day ever! 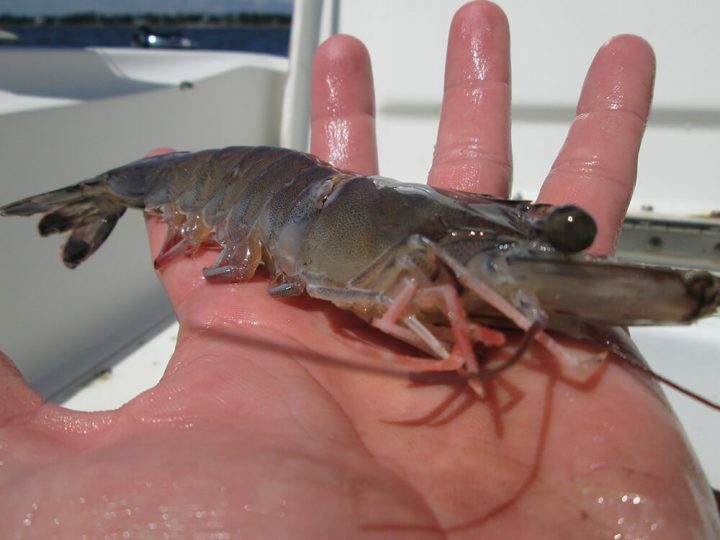 Since these live bait often can save the day for us, we go through some serious trouble to ensure that we have them on our boats. Setting alarms for 3 AM, driving 60 miles round trip, or throwing cast nets in the wee hours of the morning, are just parts of this “Dream Job” we have as charter guides. It is the sacrifice of time, money and energy that makes each and every live bait so precious to us. 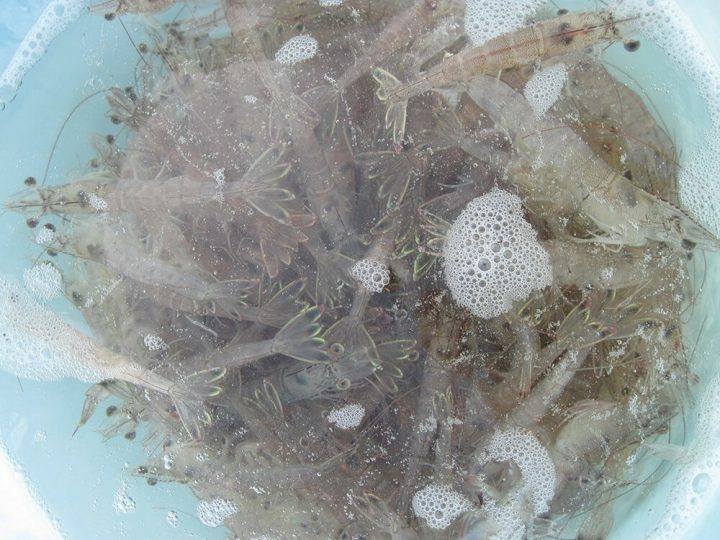 In our line of work, we look at every live bait as a fish. When these live baits are disrespected, mistreated, or prematurely killed, we charter folk can take it very personally. In my honest opinion, I don’t think anyone does it on purpose, but that still doesn’t take the sting away. The info below is to help ensure you keep your live baits alive and wiggling. That is until they fulfill their destiny – a glorious and noble death, inside the mouth of your targeted species of fish. I try to scoop and hook all the live baits on the boat. Sometimes, when the fishing gets good though, things get hectic. It never fails, if I step away from the live well, someone takes a monster scoop of bait out of the well. They grab a live bait in their hand with the same strength they would use hanging onto their first born child’s hand hanging from a cliff. This monster scoop is never necessary, it actually is counterproductive. With too many fish in a bait net, they just wind up poking each other and eventually killing each other. 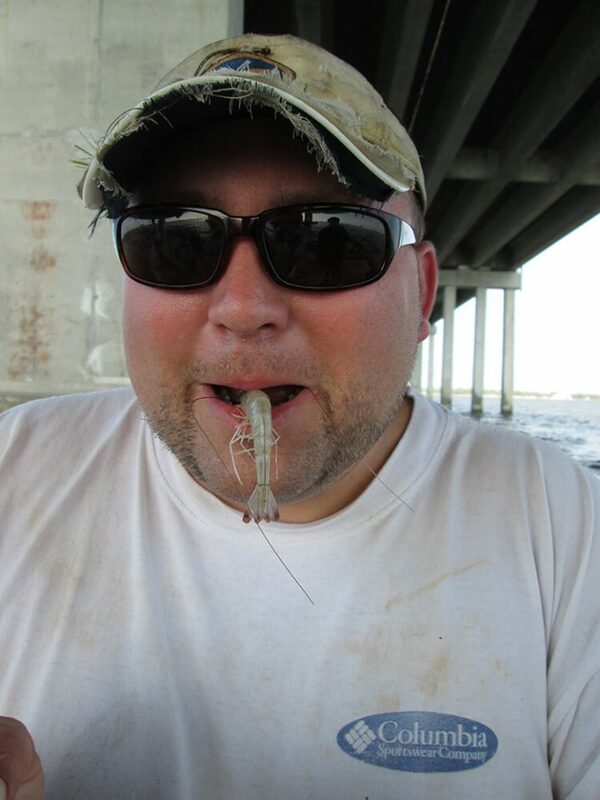 The death grip on a live shrimp or minnow is just bad, real bad. When scooping bait, actually try to get the bare minimum. When hooking bait, use the least amount of force possible. Fishing can get exciting, but you still have to respect your live bait. A forced cast that “cracks the whip” literally knocks the life outta any live bait. Just as bad, is stopping a cast abruptly short. Think of how it feels when you are on a rollercoaster. If the coaster went from 0-100mph immediately, your neck would break. Also, if the roller coaster went from 100mph to a “dead stop”, the whiplash would also kill you. A gentle calculated lobbing cast will keep way more life in your bait. Save the “power” casting for when you switch over the artificial baits. I swear I am going to be a millionaire if I can figure out how to make a live well full of bait as a kids toy. It never ever fails, if there is a live well with live bait in it, this is where the kids will be on the boat. My young daughter and her friends terrorize the baits in my live well. This constant scooping, dumping, and time out of water is almost certain death for our precious live baits. One way I have overcome this senseless massacre is running a second live well. This second live well on my boat is called “The Party Well” where anything goes. I usually put smaller tougher fish in it (mullet, croakers, white trout, pinfish). These “expendables” are put through the ringer, but it usually keeps these little misfits away from our more delicate live shrimp, pogies, croakers, etc. Let’s face it, your live bait is already freaked out. They are swimming in a foreign environment and getting scooped up periodically. The last thing you want to do is introduce another species into these close quarters. What I mean here is mixing your live shrimp with live croakers/pinfish/minnows can stress them to death. The opposite species usually try to get away from each other. If the bait is jumping around, banging into each other, or smashing into the walls, it’s only a matter of time before it dies. Try not to mix your bait, if you have separate live wells, use them. 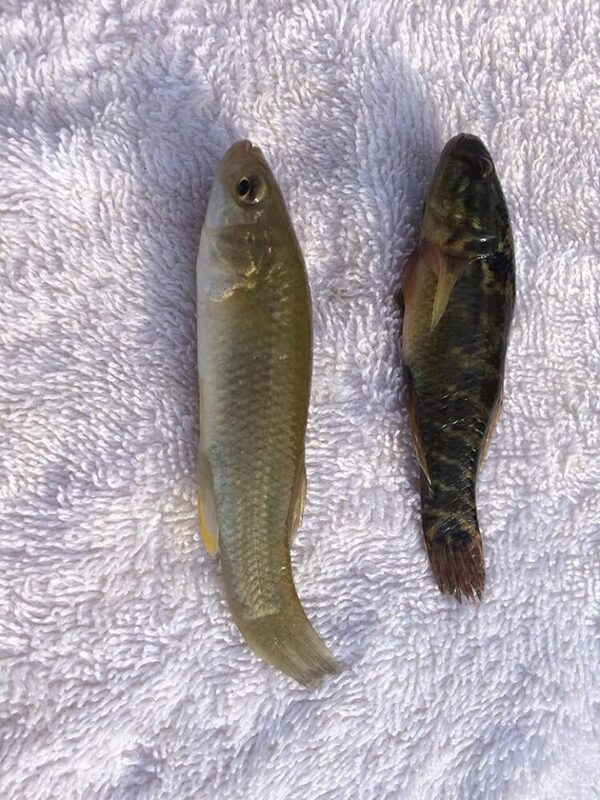 If a live bait is dead or dying, get it out of your live well immediately. A DEAD bait has no place in a LIVE well. If your live well does not have larger raw water circulating pumps, death is only going to bring more death. The warmer the water, the faster it’s going to happen too. Keep it clean, and keep it fresh. Get the dead ones out as well, period. Keep your bare hands out of the live well. Sunscreen and bug spray wash off. Take the bait net out of the water. DO NOT use harsh chemicals to clean your live well. Truth be told, none of our Captains have EVER cleaned their live wells. Just a quick rinse with water. Run your wells every time you have your boat in the water. This keeps stagnant water out of the well and makes sure your pumps are not seized. If you have put a hook in a bait, don’t put it back in the well. Chances are it’s going to die. If you do put one in the well, try to use it first at next stop. Do not slam lids to bait wells. This shock wave only stresses out bait, and spooks the fish you are trying to catch.